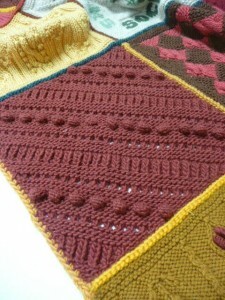 Great American Afghan with Audrey Cheadle Starts TUES 9/3 – Wooden Spools...Quilting, Knitting and More! Ready for a Fall project? 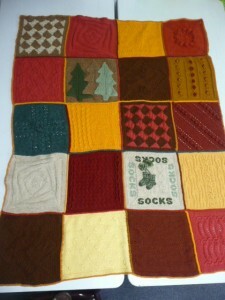 We’ve knit our way through the Great American Afghan over the past few months (two years actually!) and are ready to start over again. We’ll focus on one square each month. 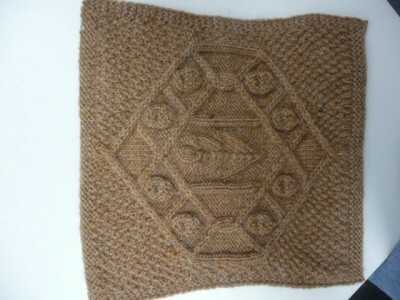 Each square offers opportunities to learn new techniques in knitting. You choose the color scheme that suits your fancy! This class meets weekly on Tuesday afternoons from 1:30 to 3 p.m. It’s a drop-in format – and the charge is just $5.00 per class. Come once a month – or every week! This square gets off to a tricky start, which is where your instructor will come in particularly useful. 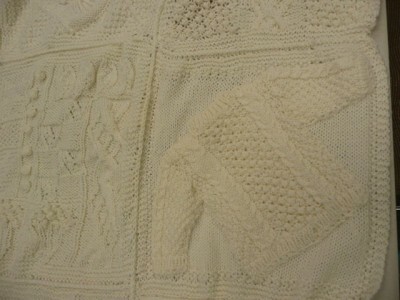 Once started, however, this square just flows in the round, alternating knit sections with purl sections. 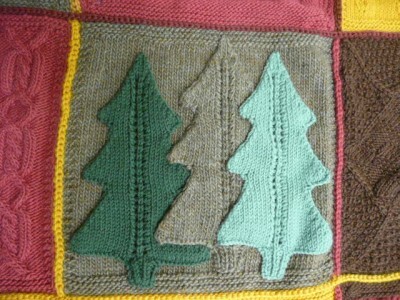 You will use double pointed needles AND a circular needle as the square becomes bigger. You will also learn the “Make-One” increase stitch. 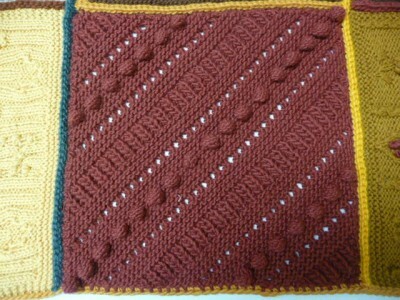 Suggestion: knit a swatch beforehand to ensure correct gauge as this square knits up looser than some of the others. Audrey's finished Great American Afghan! Marilyn and her stunning all white Great American Afghan! 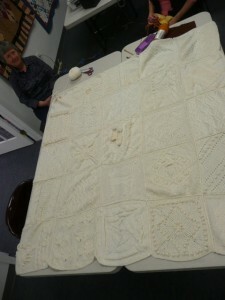 A peek at Marilyn's completed afghan - it's gorgeous in all winter white!